MON 11 a.m. to 10 p.m.
TUE 11 a.m. to 10 p.m. WED 11 a.m. to 10 p.m.
THU 11 a.m. to 10 p.m. SAT 11 a.m. to 10 p.m.
What a better way to showcase our creativity than combining our passion for Pizza and our Love for Sushi. 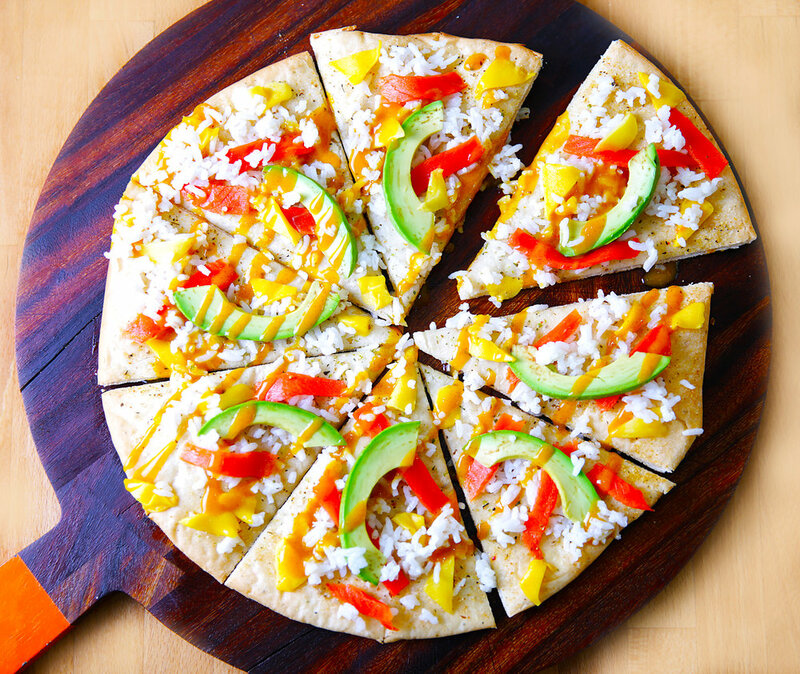 The amalgamation of these two culinary delights results in a pizza with a layer of fine sushi rice, topped with the wildest smoked salmon, accompanied with ripe avocado, sweet mango, and a chutney sauce.In selecting the ingredients that led to the creation of this pizza, we wanted create something that breaks the conventional idea of a pizza but produces outstanding flavours.